Marc Newson’s Embryo Chair is an undisputed classic of modern furniture designs. With its organic forms and the combination of extravagant design and comfort the armchair ensured high attention when it emerged. 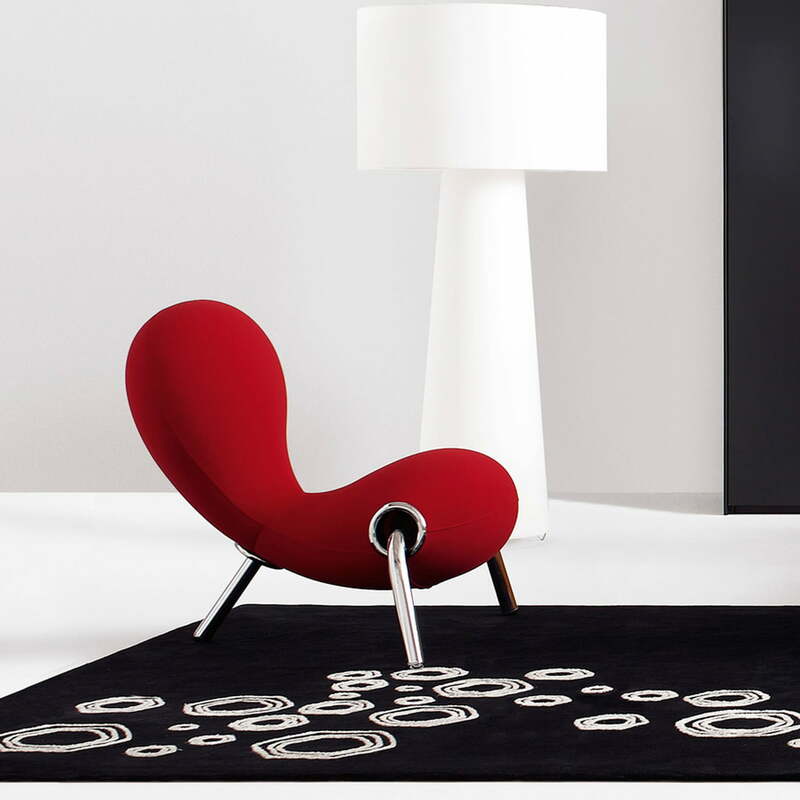 Today the Embryo Chair is produced by the Italian manufacturer Cappellini. Something like the Embryo Chair has never been seen before. Accordingly, attention was very high when the young Marc Newson first presented his armchair in 1988. 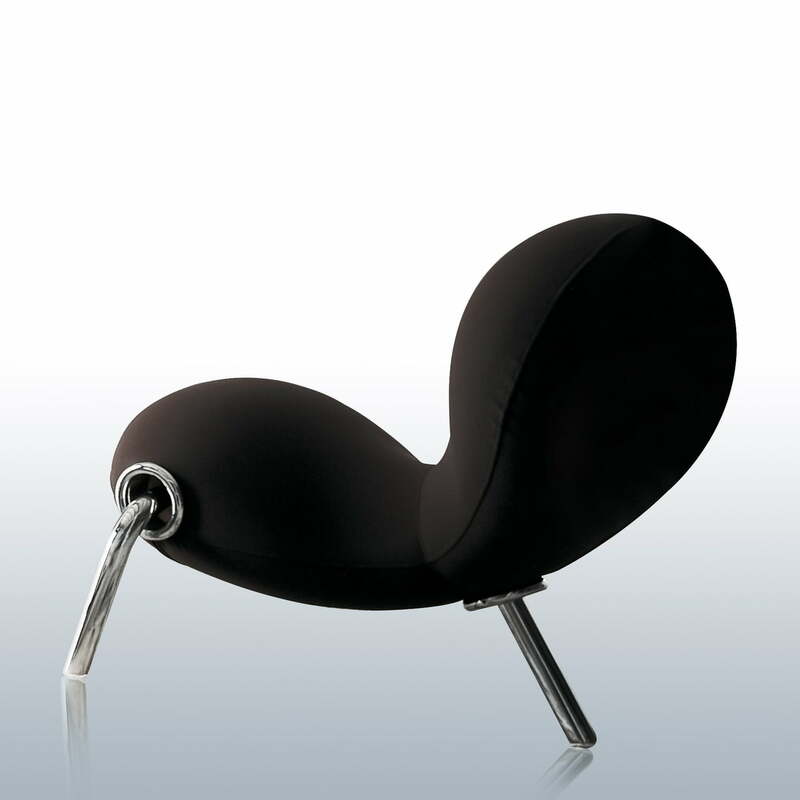 Indeed the designer had already attracted attention before with his streamlined and futuristic designs, the Embryo Chair however, in 1988 was one of Newson’s first great projects and the perfect embodiment of his design-style at the same time: strong colours meet curved, nearly sensual forms that, complemented by metallic frames have an almost futuristic look. Like the abstract sculpture of an unborn child, the voluminous body of the Embryo Chair rests on its three legs. Despite of the extravagant design the soft armchair offers a comfortable seating experience and thereby embodies the symbiosis of creativity and comfort. The frame of the Embryo Chair is today made by Cappellini out of chromed steel and ensures the necessary stability. The seating comfort is ensured by a cushioning of polyurethane foam, coated with elastic fabrics. Marc Newson is the designer that maybe identifies the most with pop-culture and that has partly also shaped it in the past years. The Embryo Chair does, for example, show its design expression with the characteristic combination of curved forms and strong, flashy colours. 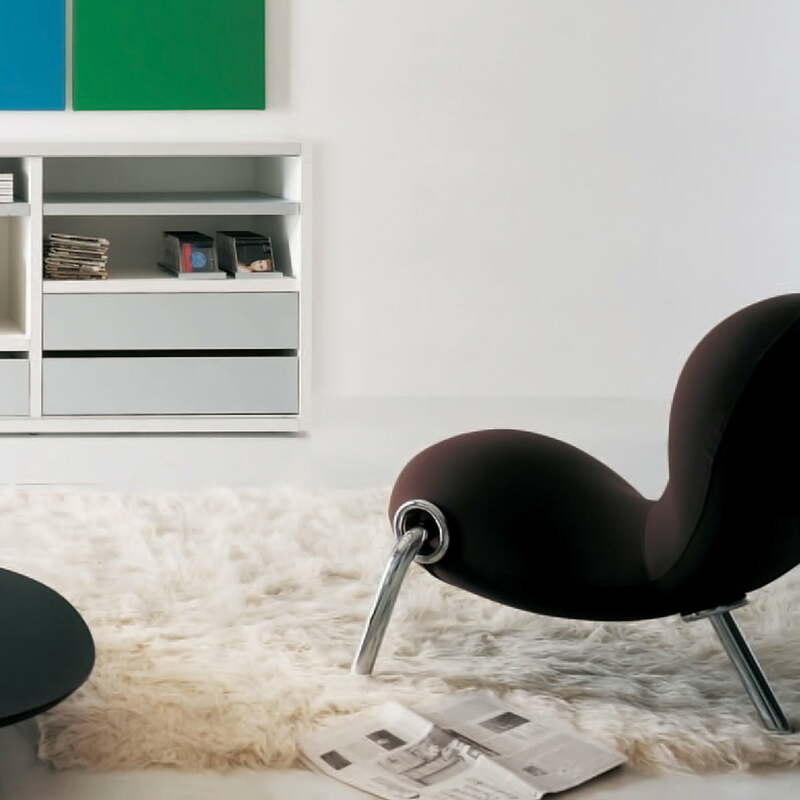 Following to the Newson philosophy Cappellini offers the Embryo Chair in different, strong colours.